We invade the nature with our harmful presence. Now is time to let the nature to invade our space and heal us. A green wall is a living wall. Gives life and energy for wall himself and for humans as well. Many of us have plants in our houses but it came the time to cross to the next level, to bring more than a plant, to bring breathing walls. And who knows, probably the next step will be to bring a tree or to move outside, to live in nature. It will not be so comfortably like now but definitely will be more healthy. 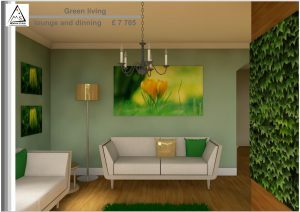 A month ago I have accepted the challenge of a client, to create a vertical garden in his living room. 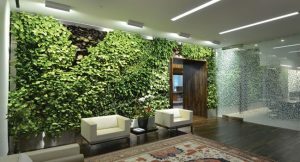 I discovered amazing things about the benefits a green wall could bring, beyond the amazing aesthetic appearance. Green walls could absorb high-frequency noises, even low-frequency noise are reduced. Is already known that plants clean the air by consuming carbon dioxide and producing clean oxygen.